Is Treating Acne with Diet Possible?! Conventional medicine does not address the common-sense knowledge that diet can affect acne, in spite of current published research showing just that. The usual and customary comment from a medical doctor about acne, is that “…there is no scientific evidence that diet plays a role…” That answer, coming from a health care professional with “expertise,” leads to the inevitable prescription for topical medicines, or the stronger Accutane or antibiotics. All of these treatments are dangerous. Accutane has many side effects including depression, suicidal thoughts, inflammatory bowel disease, birth defects if given to a pregnant woman, to mention just a few. In fact, it is so dangerous to pregnancy and the fetus, there has recently been a new protocol introduced in order to make sure pregnant women do not use the drug. Is it a good idea to give a teenager, whose self esteem may be a bit fragile to begin with (especially if he or she has acne) a drug that may cause depression or suicidal thoughts? The other medical alternative, antibiotics, are just as dangerous. As a clinician, I have met quite a few people who have told me they thought their inflammatory bowel disease (Crohn’s/colitis) was caused by the antibiotics they were given for years as a teenager to treat acne. Taking antibiotics kills not only the bad bacteria, but also the good bacteria in the bowel. In taking these medications chronically, the flora in the bowel becomes unbalanced and this opens the door to overgrowth of pathogens including bacteria, fungi, viruses and yeast (Candida), that come with their own host of problems. In my opinion, neither treatment is a good option. In the Natural Health world, acne is known as “diabetes of the skin”. Insulin and IGF-1 (insulin-like growth factor) is released when simple sugars and carbohydrates are eaten. Elevated insulin levels (as in diabetes) lead to an excess of male hormones, which cause pores in the skin to secrete sebum, a greasy substance that attracts acne-promoting bacteria (propionibacterium acne). Additionally, IGF-1 promotes the multiplication of skin cells known as keratinocytes, a process associated with acne. Scientific studies have shown a link between insulin and IGF-1 and acne. Furthermore, it has been found that when IGF-1 is used to treat certain illnesses, this increases male hormones, and this increases the incidence of acne. Clearly, there is a link between levels of insulin, IGF-1 and acne. A diet high in refined carbohydrates and sugars causes chronically elevated levels of insulin and IGF-1. Not only is this bad for general health and emotional well being and increases the risk of diabetes, it is bad for the skin. The skin is the largest organ in the body. When the diet is full of junk foods with chemical additives, which most refined carbohydrate products have, the body has to find ways to detoxify and remove the enormous amount of waste products that accumulate. The skin is a major outlet, as it has the greatest surface area. The skin reflects the health of the gut. If the mucous membrane lining of the intestinal tract (the gut) is not completely healthy (as may occur when the diet is full of unnatural chemicals and sugars that feed pathogenic bacteria) there is a greater incidence of many health problems, including acne. Not surprisingly, acne is a disease of western civilization. Studies have shown that the condition is virtually nonexistent in traditional societies, where refined carbohydrates and sugar are rarely eaten. For instance, one study that looked at acne cases in the islanders of Papua New Guinea and the hunter-gatherers of Paraguay, found no cases of acne in either group. The findings, make a strong case for the significant role of environmental factors, such as diet, in the incidence of acne. I’m sure that if Dr. Weston A. Price (a dentist who traveled the world in the 1930′s studying and documenting traditional cultures and in particular their excellent health and excellent teeth) had been a dermatologist, and had looked at the skin of the traditional cultures he studied, he would have found acne to be non-existent in the cultures that were not exposed to “…the displacing foods of modern commerce…”, i.e. all the processed foods available. In those days there were five processed foods; canned vegetables, vegetable oils, condensed milk, refined four and refined sugar. Compare that to what we have today – go into a supermarket and try to find the real food! For teens, the solution is to cut back on or cut out entirely, simple refined sugars and carbohydrate/grain products. This means bakery, cereals and packaged products as well as corn since it is a grain. With the epidemic levels of gluten intolerance and celiac disease in our society today, this solution is much more appropriate for enhancing health than offering dangerous drugs. But the diet should be cleaned up in other ways as well. Adding probiotic foods and probiotic supplements are also indicated to restore the beneficial micro flora to the gut. Moreover, eating the correct fats (and avoiding oxidized vegetable oils and trans fats) is also necessary for this condition. Additionally, gradually switching over to a real foods diet is important if you want to solve this problem through natural methods. While changing the diet may be hard for a teenager, it has got to be harder to go around with a face full of acne. With support from parents, teens can change their eating habits for the better. Let us know if you’ve had good success curing acne with diet! At the 2010 WAPF Conference, she heard the social media panel and was inspired to use this great platform to spread the word about traditional food. She realized that blogging is an efficient way to reach many people who are interested in improving their health. 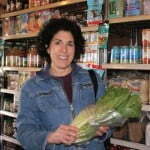 She created her own real food blog, found at www.realfoodforager.com. does the b-5, 6 and C work for teenagers? It is amazing how the doctors are starting to confess and say that diet is very important for the skin and “chocolate doesn’t give you spots” is coming back. The saying “you are what you eat” is very true and you can see how well you have talked about this today. One thing I do recommend for acne is a tropical system (only because it really worked for me and you can see my 7 day review on my website myacnelife.com). However I do feel that eating right has helped keep those morning pimples away and also made my skin less prone. I eat fish daily, avoid junk food completely and drink like a fish. Check out my acne blog above for more on what I do. I totally agree with dieting and acne. As a child I was constantly told “eat what you want it will not effect your skin” however the saying “you are what you eat” is much more true than dermotologists and doctors think. Are you on google +1? acne is a disease of western civilization is a pure example of how dieting can result in acne and the more people that find out about it the better. at least 6-8 glasses of water a day. I have also suffered from mild acne all the way to somewhat a severe form. Even though I had the opportunity to be helped to deal with it naturally, I believe that an intake of Vitamin A and Zinc could have helped be better. Could I ask, what sort of foods have more Vitamin A and also zinc? Acne is mostly caused by stress as well…. I know lemon helps as well.. Since I’ve started drinking milk kefir everyday, I’ve noticed that even when I eat out (e.g. not real food diet) I don’t have flare-ups like I used to. I know this is an old post, but I had to add my 2 cents. I had mild acne from puberty on (my diet was horrible! ), but it’s really kicked in and been increasingly worse since I started a real foods diet well over a year ago. And I’m 34!! My guess is that my hormones are balancing themselves out (or at least going crazy!). Can it really take almost two years to “detox”? I take probiotics and CLO, have done several allergy-elimation diets, drink raw milk, eat fermented foods and try to properly prepare grains. Since I started a real food diet, my cycle has become amazingly regular, and my acne flare-ups are predictable, as well. I’m trying to conceive, so I’m not going to have a hormone/endocrine workup just yet, but I’m pretty convinced that is the issue for me. Very complicated subject for some of us. I struggled with adult acne on a fairly regular basis and always assumed it was tied with in my period. I also had some small acne appear on my chest occasionally. Last year, August, I began modifying my diet to be more in line with the Paleo Diet (no carbs, no processed foods, no sugar, no legumes, no dairy: only meat, veggies, fruit, nuts and lots of it). I did my first “whole 30” detox in November and ALL of my acne disappeared. My face, my chest – all of it. (All of my sinus congestion disappeared also.) Robb Wolf writes that sugar/carbs are more addictive than cocaine/heroin, but if you can truly break the cycle and eat more whole food and NO GRAINS you will feel and look so much better. I encourage everyone to read and investigate it. It takes dedication, especially in our “fast food highly processed carb/sugar overload” world. Clearly there can be a multitude of reasons for acne. And as Rachel so eloquently put it, sometimes conventional medicine can be used in an advantageous manner. I would never judge anyone (and one should not judge oneself negatively) if medications are needed. Certainly, as Rachel said, if you wait too long to treat, scars may form and those can last forever. I like to take an integrative approach. Certainly one can improve the diet and be on medicine (just hopefully not Acutane or antibiotics) at the same time. The connection between insulin resistance and acne is apparent to me, but the nature of randomized trials will consistently miss the link if the population isn’t stratified by level of insulin resistance. Some very savvy researchers will need to carefully design the study to underscore the connection. I am sure the insulin-sugar link is probably only one of many factors. Since persistent organic pollutants, medications and many other exogenous factors also influence relative insulin sensitivity it may be very challenging to most people to tease apart their own puzzle. At the same time, if you are eating well, exercising regularly and overall living a fairly balanced lifestyle without excessive stress, I would recommend a thorough endocrine workup. There is very little attention given to the balance of our hormones. Most primary care providers do not assess most of these functions outside of thyroid function. Even most OB/GYNs and Endocrinologists fail to adequately assess or know how to balance an unbalanced hormonal milieu. There is a good reason so much acne is associated with puberty, menses, pregnancy, lactation, menopause, and other hormonally driven physiological states, as well as use/abuse of steroid hormones. I appreciate the post. I’m a long time reader, first time commenter, traditional food eater. I know the author didn’t intend the post to be a one-size fits all recommendation, but I’d still like to comment that it won’t work for everyone. If you’re one of those people, just know that you’re not alone. If you try diet & lifestyle remedies and they don’t clear up your acne, you shouldn’t feel guilty about non-natural treatments if you judge they are right for you or your child. Modern pharmaceuticals should be a last resort, but sometimes they are necessary. I don’t know what kind of response I’ll get to this post, but judging by the blogs I generally read, I anticipate that some people will reply by saying that I didn’t do correctly, or their specific method, or long enough, or possibly that I didn’t try hard enough. I won’t get into the specifics of everything I’ve tried (raw diet, traditional diet, gluten-free, grain-free, sugar-free (including fruit and all carbs! 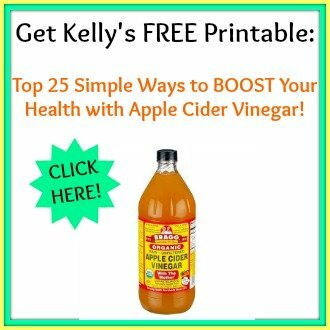 ), candida diets, green juices, internal cleanses from above and below, drinking bentonite clay, detox plans, naturopathy, homeopathy, herbal remedies, supplements, mind-body solutions, exercise, and/or many of these at the same time and then much more–if it’s out there, I’ve probably tried it! ), but please believe me when I say that a natural solution does not work for everyone. I think they’re all worth a try, and many of them may work for some people, but don’ t feel like you’re a failure at healing yourself if they don’t work. 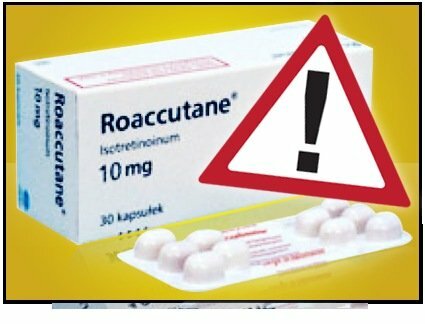 I would absolutely recommend staying away from Accutane (SO toxic!) and definitely oral antibiotics if at all possible, but some of the topical medications may make a difference when all else fails. Sometimes if you wait too long to treat acne, especially for your teenager, the scars that result last a lifetime. It took a while to find a combination of medications that worked, but my skin finally cleared (to a significant degree) with a combination of Atralin and Dapsone. If you suffer from severe acne, too, my heart and my scarred face are with you. Well said, Rachel. I mentioned my daughter’s struggle with severe cystic acne and the dermatologist’s discovery of her food allergies, BUT she also received a year of integrative treatment and it was ALL helpful for clearing and healing her skin. There are other “conventional” type dermatology treatments for acne beyond drugs (though my daughter was on antibiotics for a few months as the infection was so terrible). She benefited from regular “acne clinics” at the office that included blue light therapy (which helped heal the infection) and later when her skin healed further, a procedure called Dermasweep, which is similar to, but gentler and more beneficial than Dermabrasion (she alternated between Dermasweep and acid peels). Dermatology, even conventional dermatology, has much more to offer than just pharmaceuticals. I think different dermatologists may have different offerings, but our experience was great. I wish I had read this ten years ago! I had terrible acne and the only solution the dermatologist could think of was antibiotics. They didn’t help at all, and rather than go back for a higher dose, I gave up. I found being gentle when washing my face (very warm water and a washcloth, no harsh cleansers) helped, but it took getting pregnant to make it go away. Now that the baby is (slowly) weaning, it’s coming back. Time to put it all in action, I guess! Another way real foods help is getting enough vitamin A in the system. It’s really crucial to the skin and most people don’t get enough — because synthetic vitamin A is so toxic and vegetable vitamin A (beta carotene) is not always easily converted. I second what someone else said about cod liver oil — it’s a great source of A! Thanks so much for sharing. Your daughter sounds like she could benefit from the SCD or GAPS. I have information about these diets on my blog. Both these diets remove all starches, grains and double molecule sugars from the diet. Many people benefit from these diets for a variety of conditions. When you learn about the diet you begin to understand how gut dysbiosis (imbalance in the gut flora) can affect each individual in different ways. Sugar cravings are a huge indicator that dysbiosis is present. Many people go gluten-free, but not grain-free. Many gluten-free products are still full of additives and starches that are very hard to digest. Left to ferment, they support pathogens in the gut and this can be expressed as any health condition. For some it is the skin. For others it is digestive problems, etc. Hormones contribute as well. No one system works independent of the others. The body tries to cope as well as it can when gut dysbiosis is present. This is so common today as the food supply is filled with additives and toxins. Thank you for your reply, Jill! What you said rings true to me, and I will look at your blog and research those diets. Now, if I can only get her to go for it…. She begins college in the spring, but will be living at home to offset expenses, so I think a very controlled diet would be doable and timely as well, considering the array of benefits. It will be a challenge for a college student. However, if she is living at home it would be possible. She just has to be motivated to do it for herself. Let me know how it goes! If hormones are a cause, has anyone considered soy products? Doesn’t that mess with hormones? And it’s really prevalent even in “health” foods. I can attest to the diet-acne link! My 17 year old daughter suffered with SEVERE acne until after trying everything out there, I finally took her to a dermatologist. Fortunately, this dermatologist had an integrative practice and worked with a naturopath. She put my daughter on an anti-inflammatory diet which was very low in sugars and grains and completely eliminated wheat (among other treatments as well). When my daughter began dramatically losing water weight she suspected food allergies and had her tested. As it turned out she was allergic to wheat (and other gluten-containing grains like spelt and rye), eggs, all dairy, and cane sugar. Cutting out these foods was the “corner turner” in her recovery. She has “normal” teenage skin now with only minor breakouts and her scars are fading more each year. Interestingly, she has ALWAYS strongly craved carbs and sugar. Even now I have to keep a watch on her because she will over do it on gluten-free carbs and loves to bake (and eat her creations)! Also, she had always had a tendency to struggle with constipation prior to elimination of her allergy foods (eliminating those foods has helped tremendously in regulating her digestive system). She also used to have odd, strange breath prior to the discovery of her food allergies (also eliminated now, unless she cheats on her diet or overindulges in other grains/carbs), which made me always suspect a dysbiosis and toxicity of sorts. I am not sure that the puzzle is completely solved yet since even gluten free grains still effect her when eaten in excess, but this article does confirm my suspicion regarding a heightened sensitivity to grains/carbs/sugars. Since puberty, she has had quite sensitive blood sugar (hypoglycemic) and has had to be careful in that regard as well. I, too, never had acne as a teenager or young adult and my diet was awful then – full of sugar, processed foods, etc. I was also overweight. I developed acne when I was pregnant with my first little boy and it has progressively gotten worse. I now weigh 130 lbs, exercise a minimum of 3 times per week, and eat a 95% raw, organic diet full of fruits and vegetables. My acne is now worse than ever. I’ve just about resigned myself to the fact that it is hormonal and there is not much I can do about it. Any suggestions or rays of hope? Thanks! If your diet is 95% raw, I guess you are not eating much in the way of animal products? You may be eating dairy, but it sounds like there are too many simple sugars (even if it is organic fruit). For some people even the fruit is too much. That can feed the imbalance in the gut flora and cause lots of problems even when the diet seem to be “healthy”. And this can affect the skin. Thanks for the quick response Jill. I do put some shredded parmesan cheese on my salads. I buy it in a block from Trader Joe’s and shred it myself. Every few weeks, I will eat some chicken and occasionally have a smoothie made with Kefir, but other than that, no I don’t eat a lot of animal products. The one non-raw thing I do eat every day is a bowl full of scottish oats in the morning that I cook with almond milk. I still eat way more vegetables than I do fruit, but I will cut down on the fruit and see what happens. Thanks for your help, Jill, I appreciate it. I should also add that several raw books I’ve read say that excessive consumption of processed foods for a long period of time and then a change to a raw diet, can cause your skin to break out because it is purging the ill effects of so many years of a bad diet. What’s your take on this? It sounds like your diet is high in carbs — even though they are mainly vegetables and some fruit. For some people that is still too much even though it is mainly grains and simple sugars that are implicated in acne. It also sounds like you are not getting enough protein and fat… To answer your question about the “purging” — it is common for a condition to get worse before it gets better — a way of saying, yes, any “detox” will certainly express itself through the skin. Chances are, with all that raw and plant-based food, you’re not getting enough vitamin A. The vitamin A found in plant foods is beta carotene, which only half the population can convert into a usable form. In addition, only a small percentage of the beta carotene found in food is actually available when the food is raw — maybe 5%. It will increase a lot if you lightly steam your vegetables and eat them with olive oil or something (the fat helps you absorb beta carotene). The best way to get plenty of A, though, is to take a teaspoon of fermented cod liver oil every day, if you can stand it! It’s hard to get down unless it’s in a capsule, but I think it’s worth the trouble. About a year ago I used to have pretty terrible acne, within several months of cleaning up my diet it just went away (I’m 17 btw). My friends will comment at my skin and ask what I do, I tell them clear skin is just what happens when you eliminate grains, dairy products and sugar, they believe me but are not motivated to do anything about it. I’m so thankful I tried a dietary approach to clearing up acne and that my mother didn’t give in when I begged for pills and proactive. Acne is the body’s way of reducing the burden on the lymphatic system in the head and neck. When lymph is congested in this area, the body will increase its reliance on the skin as a secondary detox organ. Acne can be caused by any substance that increases lymphatic congestion. For some people, that could be gluten but for others it could be something completely different. I have my face to thank for leading me on this journey to real, whole foods! I struggled with rosacea throughout most of my 20’s, then I watched Food, Inc. and started researching. One thing led to another, and suddenly it clicked about adding antibiotics in the animals, and my breakouts. It happens with both poultry, and beef. Also, with cheese, say, from a pizza. This was really evident recently when I had to go out of town and ate out for several days (hey, I *did* bring my raw milk, but I couldn’t bring my whole kitchen! :D) I came home with the most horrible complexion! I was shocked at how bad it was. But it happens without fail, when I eat out, the next day, I’ve got red splotches on my face. I’m kinda amazed at how simple a solution this was for me: just avoid antibiotics in the food! It also makes me angry at my dermatologist’s education who thought rosacea could be caused by mites!! O_o For reals?! I’ve read a lot about this, and it seems like the overwhelming commonality in people with rosacea is that they’ve been on antibiotics for a long period of time. I guess it makes sense if it could be caused by antibiotic traces in food. Were you ever on antibiotics for a long period? No. I had never been to a doctor until I was an adult! It was weird for me, because as a teenager, I hadn’t had very many acne problems compared to everyone around me, and then around 22, it got bad. How did you personally cure your rosacea? Eating real food and a fairly anti-inflammatory diet. Lots of fruits and veggies. Homemade yogurt. It took awhile but it cleared up. me again … for hubby – it would have to be trace amounts in foods he consumed. He really isn’t a fast-food kinda guy and has hardly ever been sick (very few antibox). His seemed to flare up with a very stressful job situation and has just never resolved. @ Angela: the pill also affects gut flora. Yours could still be recovering. As a teenager I had acne and was put on antibiotics for a long time. I’m pretty sure that caused rosacea which turned up later. And probably candida, as well. I cured rosacea on my own, so it can be done. I really dispute the idea that carbs cause acne. Exactly the opposite in my opinion. I find lots of fruit to be helpful to the skin. Rice is fine for the skin, too. Potatoes are incredible for the skin (both cooked for eating and raw potato juice used topically). So is bone broth, and liver. The best diet for acne would be, potatoes, bone broth, fruit, liver, veggies. Lots of antioxidants and low PUFA. Yogurt can help as well, if its fresh. What causes acne: junk food and bad gut flora. Milk as well for some people, and too much alcohol. I’m sure refined carbs like sugar could be bad. But, Asians eating lots of white rice have barely any acne and the French who eat lots of white bread don’t have much acne. Its different than eating wonder bread, which has a ton of junk aside from white flour. This stuff is not so cut and dry. P.S., I don’t mean liver as the only source of meat, of course. Just the usual 1-2x/week, in addition to pastured beef, fish, shellfish, etc. Thanks for sharing your experiences. Clearly, acne can be caused by many different things. As we all have very different biochemistry, medical history, metabolism and gut flora, very different things in our environments can affect us. In your case you have been astute enough to uncover what works best for your skin. As Melissa notes (further now the comments), fluoride can also affect certain people. And as Crystal shares, antibiotics in food affected her! raw potato juice? Is that just for acne or as a general treatment? Just for acne, although maybe it would help with other conditions, not sure. Amy~ Please share what you did to clear up your rosacea?? DH has struggled with it for 10+ years. Thanks!! I started eating real food, and low-inflammatory food, and slowly it cleared up. Mine was only mild, so he may need more for severe rosacea. He might want to try olive leaf extract, which has worked for rosacea, from what I understand. I found homemade yogurt to be helpful, as well as the other foods listed above. It has a lot to do with gut flora, but also eating plenty of fruits and veggies help. What a great article! I dealt with a lot of acne until a couple of years ago when I was introduced to Weston A Price. It’s much better now but I still have some issues now and then. My herbalist says that all skin issues are related to liver issues. When I eat good fats (not just watching my refined carbs) my skins does better. Canola, corn oil and factory farm meats are really hard on the liver. I also wash my face with jojoba oil every day and that keeps it nice and supple and oil free if you can believe that. No soap ever! Most people try one thing and when it doesn’t clear up their acne they stop and try something else thinking that it didn’t work. It probably did work but there’s more than one thing causing it. Thanks for sharing your experience. It is usually more than one issue. I, too, would like to hear more about the relation bet/ acne and hormones and what can be done to correct it. I have never had much of a problem with acne, even as a teen. Last summer, I stopped taking the pill after being on it for a few years and have battled acne ever since. My diet is WAPF compliant, so what’s the deal? Are my hormones still trying to figure out what the true normal is? As I stated above, sometimes the body goes through a stage of rebalancing toxins and the skin is the organ of elimination. Sometimes it just takes time. The acne issue is what keeps my 3 teenagers requesting real food. They noticed a big difference several years ago when we switched from yeast bread to sourdough. Hormones also factor into the equation. My fair skinned children struggle more than the one with a darker complexion. If a person would take a drug for acne, then they are covering up the problem within. A quick fix could have long term reprecussions. We chose to address the overall health of the body to fight acne. The long term benefits of a healthy body and lifestyle are well worth the time and effort for now and future generations. Thanks for sharing your experience. I know some people want that quick fix and antibiotics will work. You have to be a special kind of person to change your diet in order to address the actual cause of the problem. Even with a very good wapf diet some people still have skin problems. The hormones do play a role in this. For each person it may be something different in the diet. Excellent connections made about the pitfalls of short term thinking created by pharmaceuticals…as well as the poor food to body response process. I am excited about this conversation, and bringing whole food nutrition – the long term thinking – to the bigger world. Thanks for your comments on this. It is a complicated topic because of so many variables. I’m in my 40’s. I still get pimples that are like cysts, usually around the time of the month. What causes that? I think changing my diet to low carb with pastured meats has helped. As I stated in the previous comment, hormones will certainly interact with the skin. Cyst like pimples can sometimes indicate an imbalance in the intestinal tract. Sometimes the body needs to expel those toxins through the skin and thus you get a breakout. A warm compress soaked in diluted tea tree oil is a way to topically manage this. Low carb would definitely help. 3 things: 1- great post, thanks for bringing awareness to this topic. 2 – my diet was terrible as a teenager, and i had minimal skin problems. I developed eczema in college and still have minor flare-ups. during my first pregnancy i got PG acne, and since my first PG (now 8 yrs) my skin has had more pimples than during my teenage years. it’s not bad and I wouldn’t call it “acne.” now, my diet is far cleaner, nearly pristine, compared to my diet of childhood and into early 20s. yet i still have minor eczema and pimples, especially around my period. because my skin changed during my first PG i always thought it was hormone change. how do hormone changes for women (during, after PG and menopause) impact skin/pimples? 3 – dr tieman – do you know any drs in the Houston area who are GAPS, SCD knowledgeable? I’m looking for a Dr to help me and my boys heal migraines/eczema (me) allergies/asthma (them) with GAPS, but need help knowing when/how to wean off their meds. how do i find an MD in Houston with GAPS/SCD practice?